Jamie Lee Curtis returned to horror in last year’s hit FOX series Scream Queens, in which the former sister of Michael Myers and real life daughter of Psycho icon Janet Leigh was perfectly cast as the ice cold and often hilarious Dean Cathy Munsch, especially when she went up against the show’s Red Devil killer in one of the best episodes from Season 1. 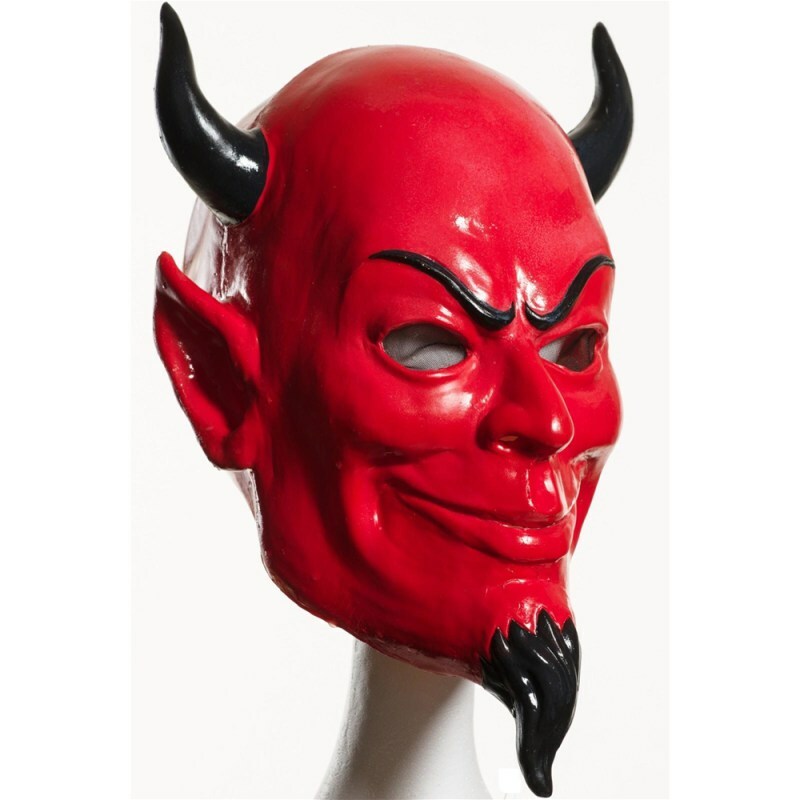 With Scream Queens set to return for Season 2 in September, we figured you may want to get your hands on your own Red Devil mask, complete with his signature black horns and goatee, so you too can plague the Kappa Kappa Tau sorority mean girls known as the Chanels. And the best part is that our friends at Trendy Halloween have hooked us up with an exclusive 20% OFF summer sale discount just for Halloween Daily News readers when you place your order by July 31, 2016! Just enter the code HALLOWEENDAILY35 when checking out to get the discount! *Use code HALLOWEENDAILY35 at checkout to apply discount. Cannot be combined with other codes, discounts, items already on sale, transferred or applied to previous purchases. Good for only one use ONLY. Offer valid until July 31st, 2016 midnight PST. Codes not applicable on wholesale orders or gift cards. The officially licensed Scream Queens deluxe overhead latex Red Devil mask by Rubie’s is now available, and you can order yours for $36.99 online from Trendy Halloween here. Trendy Halloween also has a more price-friendly vacuform version, measuring 8″ wide and 13″ long, for $11.99 available for purchase online here. Who will be the killer(s) on Scream Queens Season 2? Will they still use the Devil mask, or will we get a new look this year? Scream Queens Season 2 premieres on FOX on Tuesday, Sept. 20. Check out the Red Devil in Entertainment Weekly’s 2015 photo shoot with Scream Queens stars Jamie Lee Curtis and Emma Roberts in the gallery below!